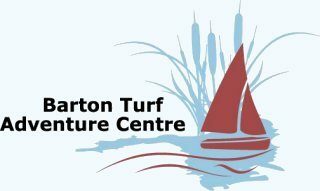 Based at the north end of Barton Broad (about 10 miles north of Wroxham), Barton Turf Adventure Centre is a family run sailing school, adventure activity and environmental studies centre. We cater for schools, groups, families and individuals. Click here to get directions to get here. From the menu above you can find out about our courses, events and summer activities. If you would like to book any course please contact us via phone 01692 536411 or via email to bookings@btac-services.co.uk. Full contact details are at the bottom of the page. Barton Turf Adventure Centre (BTAC) is a 7-acre private campsite and sailing school originally established for Hertfordshire schools’ use. Now run by Sheila & Simon Fishwick, Di Smith and Ashley Cato, its activities are open to everybody, but especially schools and youth groups. We offer tuition for a range of adventurous (chiefly watersports) and environmental activities using Barton Broad and the 14-acre private nature reserve. The Centre has its own slipway into an arm of Barton Broad, and can launch and recover boats of up to about 6m in length, 2m beam, 0.5m draught (keels up). Wider boats will have to be manhandled over the side of the quay, or launched through Cox’s Boatyard (for a fee). Boats may be moored overnight. The camping facilities are open only to schools and other organised clubs and groups, and (subject to availability) to those booked on multi-day courses at the Centre. We have 11 permanent tents sleeping four each (in beds! but bring your own sleeping bag and pillow). Barton Broad is the second largest of the Norfolk Broads and arguably the best for sailing. It has been subject to substantial improvement project recently undertaken by the Broads Authority aimed at restoring the silted broad to clear water. The project on the whole has been a success and Barton Broad is once again a real boating paradise. The Broad is home to numerous wildlife, including many species of birds, fish and even otters who have returned to the Broad. The edge of the Broad is all nature reserve, and much of it is fenced off to provide fish-free areas where microlife can breed without being eaten. The Broad lies across the River Ant, and there is a certain amount of pleasureboat traffic moving through it. The Broad is about 2m deep at most. Power boats are subject to a 5mph speed limit.